“Welcome to Africa’s Scotland,” smiles George Nxumayo, Peace Parks Foundation’s (PPF) field co-ordinator for the Malawi-Zambia Transfronstier Conservation Area (TFCA), as we ascend the Nyika plateau. “It will be cold on top, so be prepared,” he says, reaching for his jacket. George has worked on the high altitude plateau of rolling hills and rugged valleys for 13 years, and knows it like the back of his hand – so it’s a privilege to travel with him for the next week. 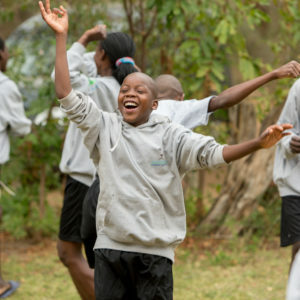 He’s also passionate about Nyika and talks with endless enthusiasm about conservation plans for the park. The weather is definitely changing and moody clouds swirl overhead, blocking out the sun and intensifying the colour deep green bracken fern. In the distance a herd of roan antelope is silhouetted on a ridge, while a loan eland bull grazes close by. 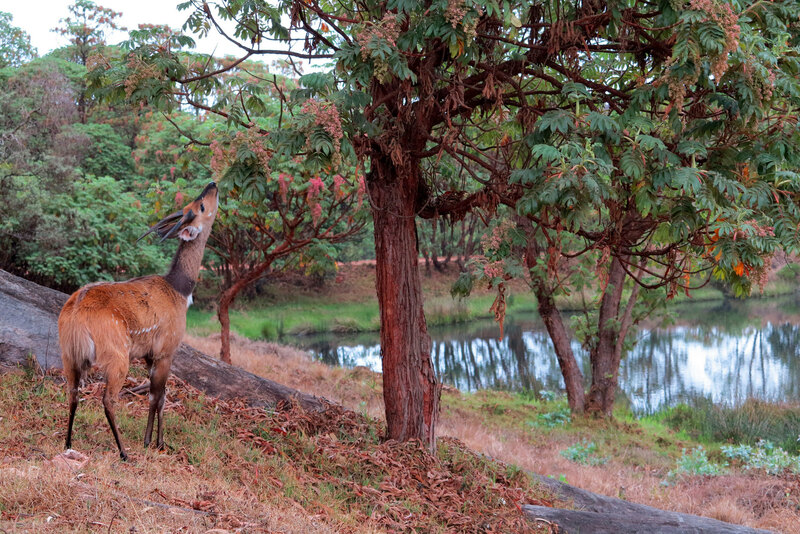 Nyika is beautiful and, yes, very Scottish – but for the wildlife and rough roads. It has a wilderness feel that’s thoroughly African and not. Scenery is bucolic and rugged at the same time. 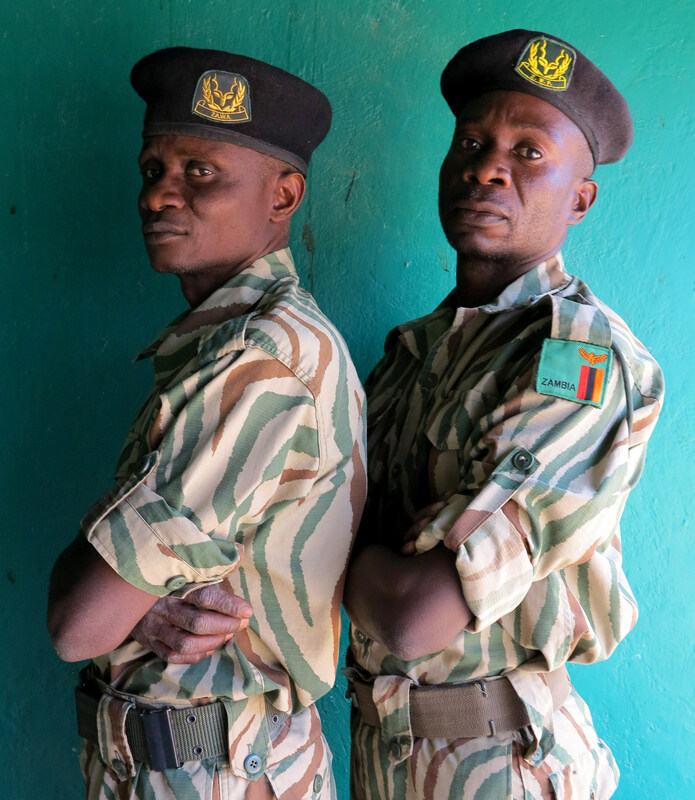 “Poaching is a big problem in Nyika,” says George, shaking his head, “but there is hope. With PPF we are developing a law enforcement strategy and operational procedures to tackle it, while still maintaining anti-poaching operations. 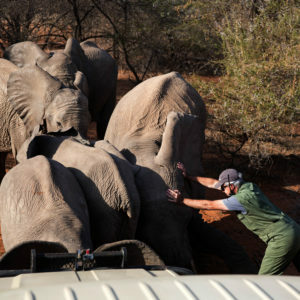 Things will improve tremendously when this strategy is employed.” Though most poaching in Nyika is for subsistence meat, commercial poaching for ivory has also been seen since 2014. It’s hoped to have 100 rangers on the ground across Nyika and Vwaza by the end of 2018. However, the reality is Nyika is a difficult area to patrol because of its vastness – over 3 100 km² – and plenty of hilly terrain. 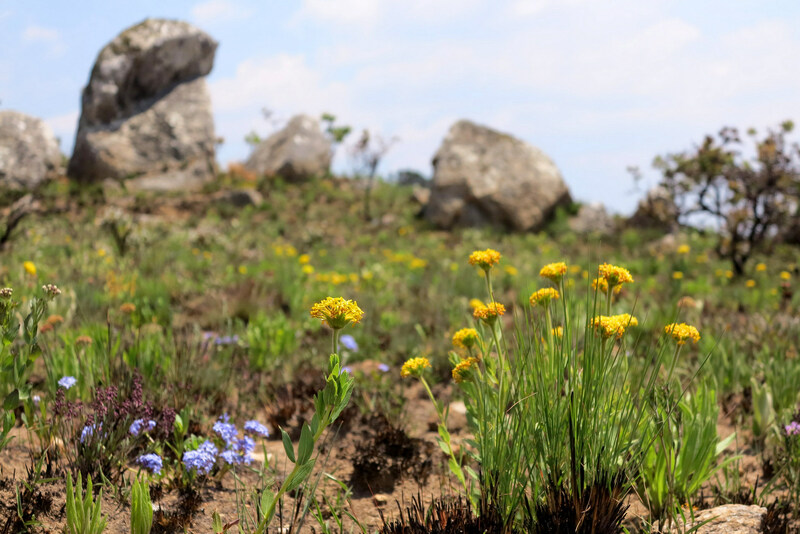 It’s not just wildlife that is poached in Nyika though, but plants too – orchids specifically. “Though no communities live in the park, poachers still harvest orchid bulbs to make African salami, which is highly sought after,” explains George. “Unfortunately, many of the rare and endangered orchids are used for this, so there is great pressure on some orchid species.” It’s just mind blowing to think that Nyika has 213 different species of orchid and of these 30 are endemic. When the flowers open in November, the plateau transforms from rolling, green, grassy lawns to a floral fantasy world. It’s a magnificent natural phenomenon that’s uniquely Nyika. Chelinda Lodge on the Nyika Plateau is aptly named. 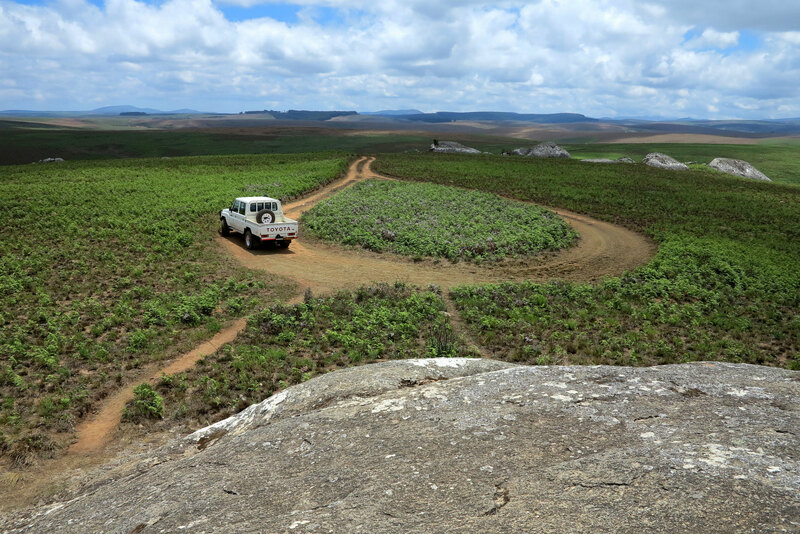 It’s the ‘Place of rest’ which resides on the “Short grass” Nyika Plateau, which has been a national park since 1966. This makes Nyika National Park the oldest in Malawi, and it’s also the biggest. The actual plateau is about 400km², with its highest point – Nganda Peak – at about 2 600m. From here you can see Lake Malawi, Zambia and Tanzania, but most of the park is over 2 000m high with its own cool microclimate and vegetation. We do rest well at Chelinda Lodge, warmed by log fires in cosy cabins. October is the hottest month here and then temperatures only reach the late twenties, while on lower ground it’s sweltering. The next morning we’re in the Land Cruiser and winding through the park in search of wildlife. It’s there, though dispersed and a little skittish. There may not be the vast herds of eland as before, but this large antelope is definitely still around, along with roan, bushbuck, klipspringer and reedbuck. We see olive baboons and warthogs too and stop to watch a herd of zebra grazing and sauntering through bracken fern. The ferns look verdant but are invasive and have displaced much of the grasslands on the plateau. “There are four or five invasive species on the plateau, but bracken fern is the most aggressive,” says George. “Mechanical removal works but is expensive, time consuming and labour intensive. We are now investigating chemical removal, which is fast and cost effective, but this is a major water catchment area for Lake Malawi, so we are doing our homework well first. Pine trees are also invasive, aggressive and have a massive seed bank. Still, George says the park can be clear of pines in three to five years, but the bracken fern will take longer. As we drive the winding and bumpy dirt roads of Nyika, George points into the middle distance. “You see that burned patch,” he says, “it’s the work of poachers, and you will see this all over the park. They burn areas to drive out wildlife and it has devastating effects on the park, because it stimulates bracken fern growth. We do controlled burning in winter to remove biomass and as a management tool to stimulate grass growth for the gazers, but poachers burn randomly all through the year. In the areas of controlled burning, there is already green grass and colourful flowers are blooming. A detour to Lake Kaulime on the plateau reveals an unremarkable, small lake, with a long and sacred legacy. Before the park was proclaimed, local people came here to pray for rain and scatter white beads as respect to the ancestors. It’s said that if you listen carefully to the waters, you will hear doves call and women pounding maize; we do hear plenty of birdsong, since there are 400 species in the park. George describes the lake as a “rain making shrine” and says people leave sorghum beer here to please the spirits. “If you drink water from the lake, it’s said to strengthen marriage and make love boom,” he smiles. Adding a dash of history to the mix of diverse attractions on Nyika, is an iron age smelting site. Down a steep slope sprinkled with milky quartz stones and purple irises in full bloom, we find the smelter under a shady tree and try to imagine Iron Age life since Nyika is rich in minerals, even gold. It’s said this very site was in use until the 1930s. 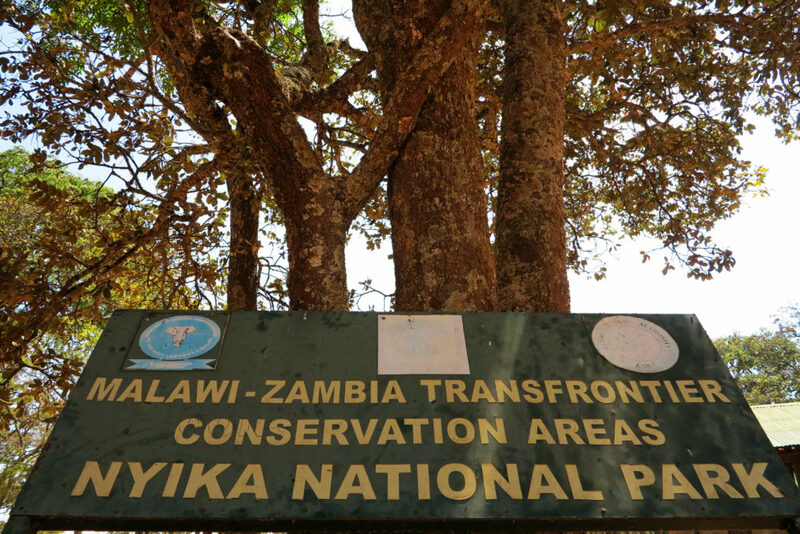 The following day we take on the wretched road and descend to the ranger station at Kaperakazi Gate, where Zambia and Malawi join forces to push back poachers. Their foot patrols have certainly made a difference and the two countries work together harmoniously. 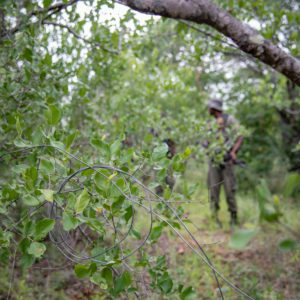 Nassan Tembo is Joint Operations Co-ordinator for the Malawi-Zambia TFCA and says six poachers have been arrested in the last three months and 16 so far this year. It’s an astounding achievement considering there are currently just 30 scouts to cover 3 200km², some of it very rugged country indeed. We head back to camp along the rugged road, cooling down nicely as we ascend the plateau again. En route, we pass the distant Chisanga waterfall and stop to marvel at colourful wildflowers emerging from burn areas. George reminds us that Nyika also produces 20 tons of honey a year – there are that many wild flowers in the park – and a facility at Thazima Gate is where the honey is bottled for sale by the community. Not far from the gate is the 7000 hectare elephant sanctuary, where a family of 36 elephant from Liwonde National Park joined 6 of the 100 resident Nyika elephant last year. We spot two elephant in the distance and plenty of evidence that there are more. So the 8000 Volt electric fence around the sanctuary seems to be doing its job. Matriarchs are also collared to be monitored. 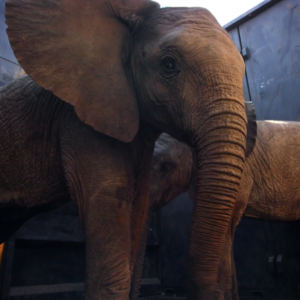 Nyika’s elephant population was around 300 a few years ago before poachers took their toll. A huge full moon rises as the sun sets on our way back to Chelinda. Darkness here is almost instant and nocturnal animals are quick to appear, alongside more eland, zebra and Denham’s bustard. A lone spotted hyena and side-striped jackal are our reward for a long day on the road, accompanied by a candyfloss pink sunset. Anjella Mughogho from Vwezemu village has one of over 200 Rocket stoves already built. 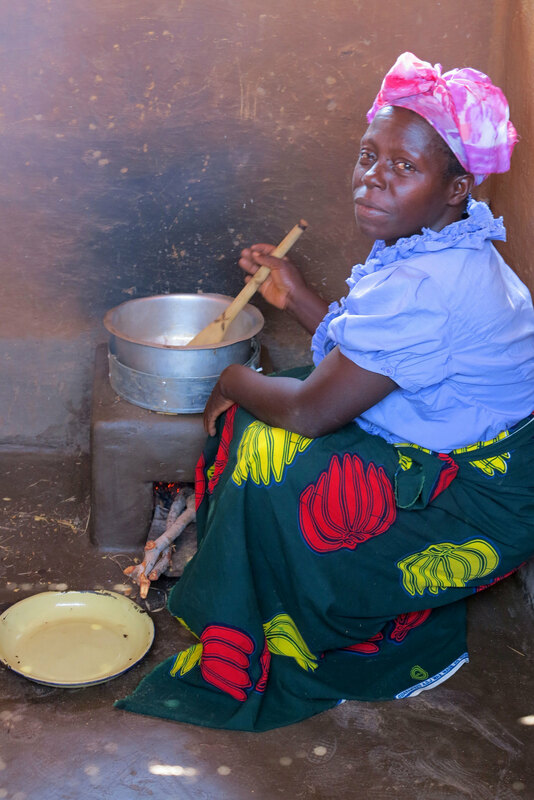 Each stove just takes 20 bricks to build and uses three sticks of wood to cook dinner. A week’s firewood previously now lasts Anjella a whole month, and she has spare time to do other things for herself. She has the biggest smile when she tells how her life has changed for the better. In the reforestation nursery programme, Gerald Gondwe is leading the way. Along with community members, over 1 000 seedlings have already been planted in just one of 20 nursery enclosures. 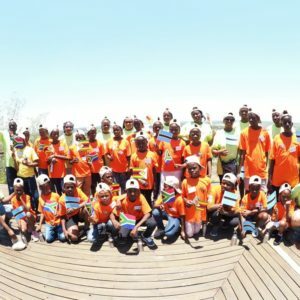 The project only kicked off in September but the acacia trees will be ready for transplanting by the end of 2018. 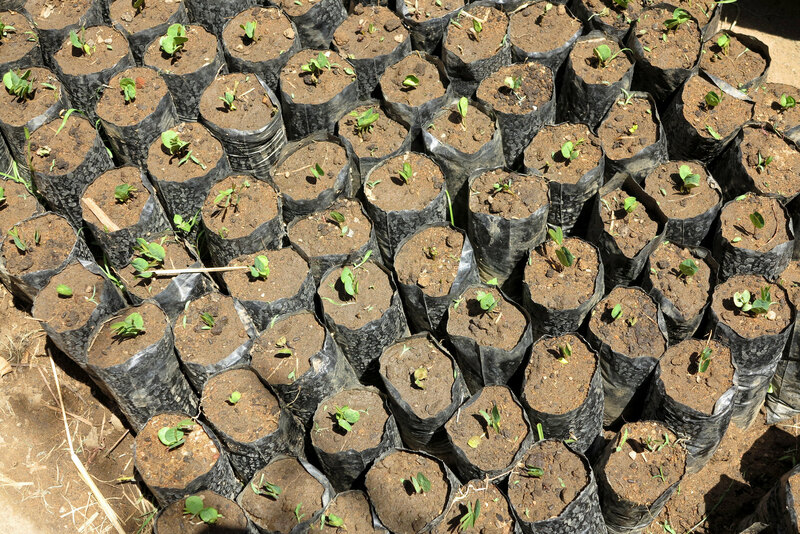 Each household in the Vwezemu village will have an allocation of seedlings to plant in the communal forest. Anjella is also on board and helping Gerald with planting. Farmer Emmanuel Eondwe is patiently waiting for rain to plant his first maize crop using conservation agriculture techniques. His fields are ready, neat and tidy with minimum tillage and plenty of ground cover, so protecting against erosion, disturbing microbes and retaining moisture as much as possible. He will rotate cereals and legumes to keep his soil healthy and smiles at the thought of his first maize crop growing. Preparation is also underway for solar pumps to provide irrigation during the dry season. Beekeeping is also happening around Vwaza with log-look hives in trees around the park. So far seven have been established and a new beekeeping club been started. In Zakaliya Viyuyi village down the road there is a chicken club and a goat club too, and quite a few successful farmers. 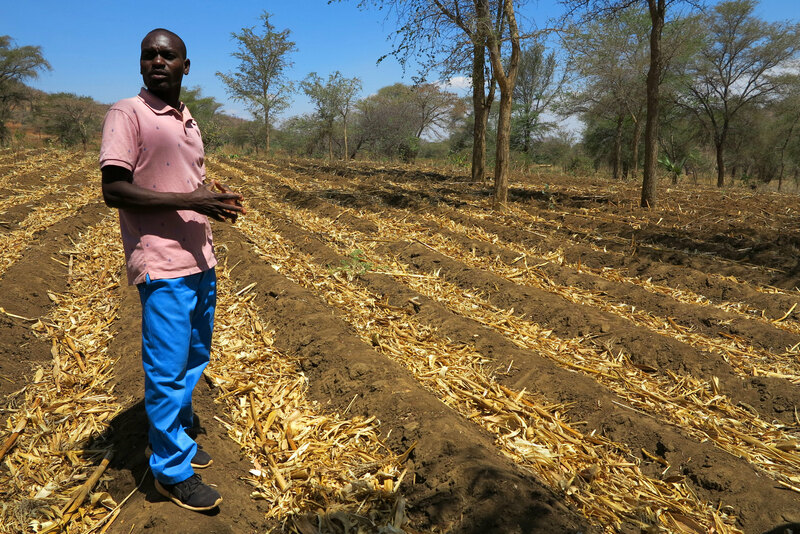 Emmanuel Eondwe has prepared his fields for planting maize, using conservation agriculture techniques. Bless Muzumana started farming goats in 2015. His two goats have multiplied to six and his ultimate goal is a herd of 50. He collects their droppings to fertilize his maize fields and says his life has changed completely. 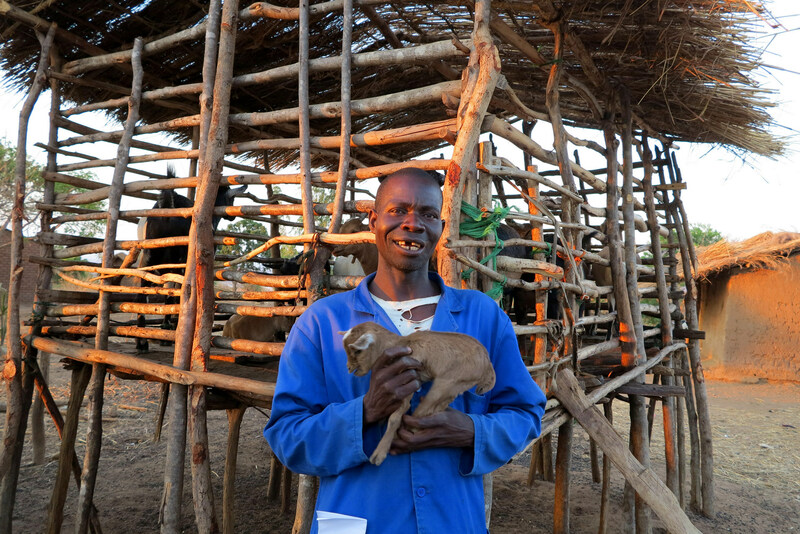 “No longer do I panic about money to keep my child in school,” he says, cradling a goat kid. Importantly, women welcoming us to Vwaza sing and dance with joy and their song lyrics are poignant. 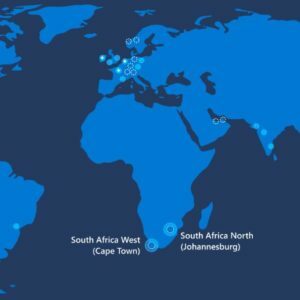 “We are benefiting a lot from goats and chickens. We shouldn’t kill game because we have goats to replace the meat. Let’s unite not to kill animals in Vwaza.” Times are definitely changing for the better. We turn back and head for Rumphi and then its tar all the way to Mzuzu, renowned for its coffee, and onwards to Lilongwe. 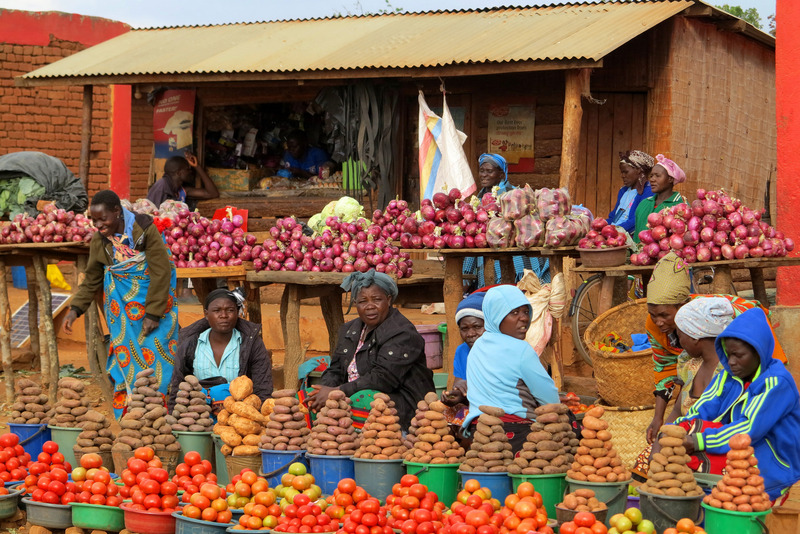 We pass roadside vegetable markets and other drive-by shopping options. Baskets, coffins, lounge suites or car tyres, all are readily available en route, plus much more in tiny shops with tantalising names: One Love Barbers, Extreme Precision Engineering and In God We Trust Supermarket. 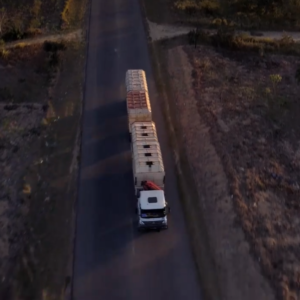 These names also epitomise the character of Malawians, the warm-hearted people who will work tirelessly to restore their reserves and landscapes to coveted African Edens. Just as they once were.